Have a question for Baymont by Wyndham Celebration? 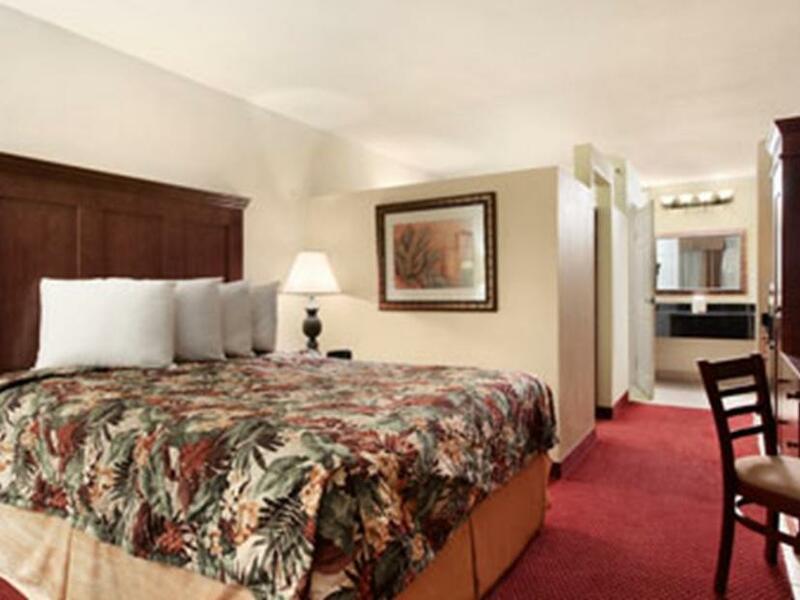 When visiting Orlando (FL), feel right at home with the hometown hospitality of Baymont by Wyndham Celebration, which offers quality accommodation and great service. The hotel is not too far from the city center and it normally takes about minutes to reach the airport. 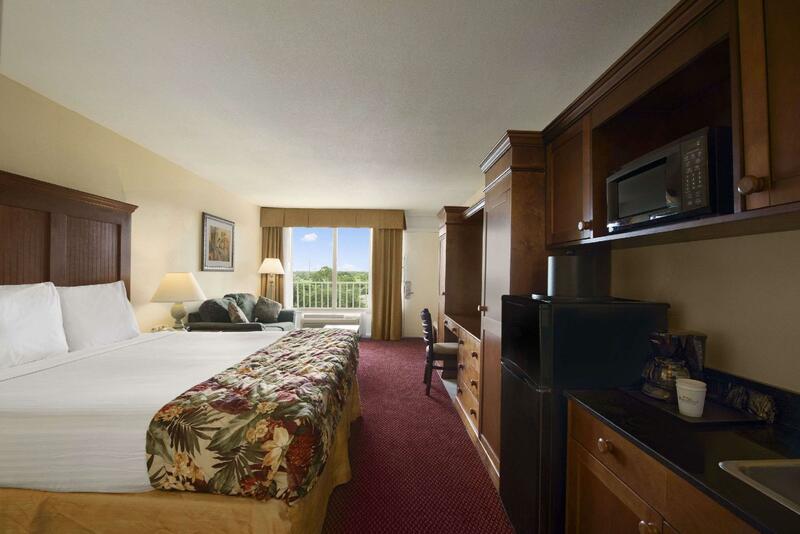 For sightseeing options and local attractions, one need not look far as the hotel enjoys close proximity to ESPN Sports Complex, Walt Disney World Resort Area, SeaWorld Orlando and Universal Orlando. Simply put, all the services and amenities you have come to expect from the hotel are right in the comfort of your own home. 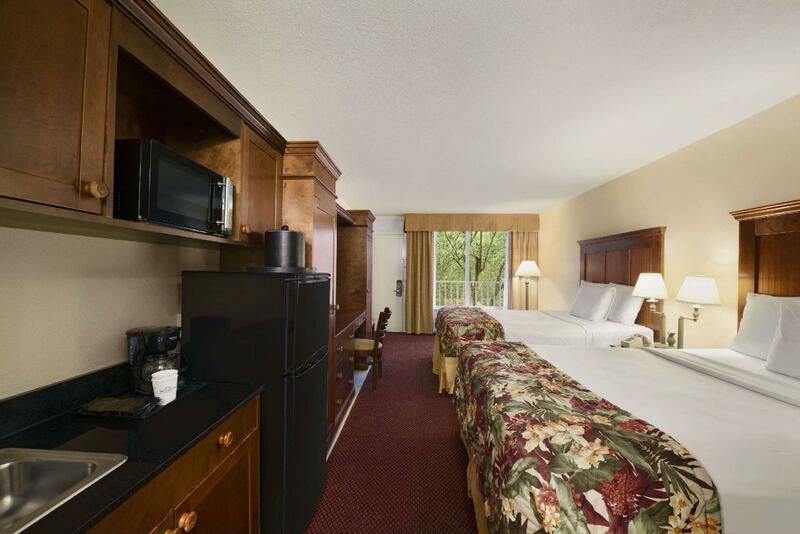 While lodging at this wonderful property, guests can enjoy elevators, gift shop, complimentary Baymont Breakfast Bar and scheduled shuttle service to Disney, Universal, SeaWorld and Lake Beunva Vista Outlet Mall. 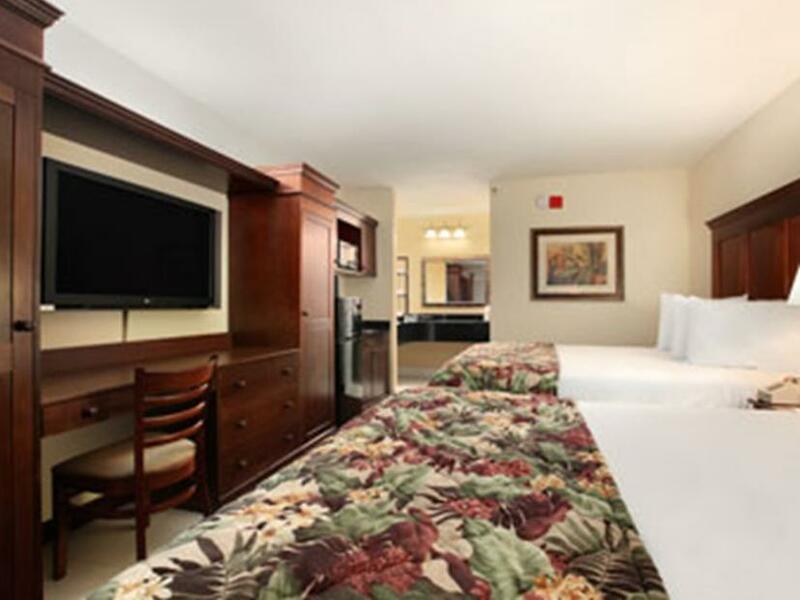 Experience high quality room facilities, including satellite/cable 42 in flat screen TV, microwave, fridge/freezer combination, wet bar, coffee/tea maker, non smoking rooms and hair dryer to help you recharge after a long day. The hotel offers wonderful recreational facilities such as outdoor kiddie pool, outdoor pool, and fitness center to make your stay truly unforgettable. 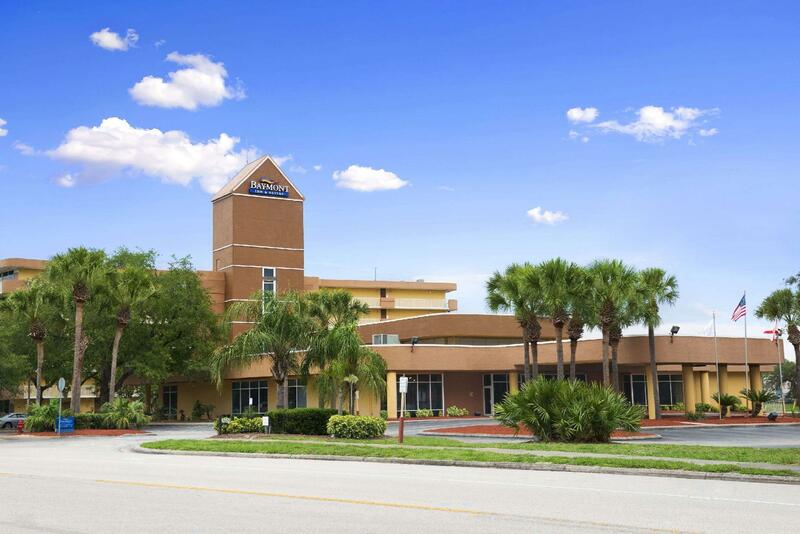 Whatever your purpose of visit, Baymont by Wyndham Celebration is an excellent choice for your stay in Orlando (FL). This hotel is disgusting. There were French fries in floor of the elevator. The ice machine was caked with mold. I took pics. The staff at front desk was rude and when I complained to the manager about this the manager was rude as well. They charged me $7.95 per night on my card and in cash as well and once I realized this they refused to refund the amount so I had to dispute the charge with my bank. There were 16 cars broken into during my visit and the hotel did nothing. I am a travel writer and review hotels and would never recommend this place to my viewers. I interviewed two ladies who had roaches in their room and said the pool chairs were so disgusting they decided not to swim. I also interviewed a gentlemen whose car was broken into and he said the entire staff did nothing to help the situation. This place is not a place you want to stay while on an Orlando vacation. I wouldn't give this hotel even one star for cleanliness. My travel companion for work spent her entire 4 days here for $35 a night. I needed a last night hotel, booked before our trip at $124 a night. Judging by the photos and lobby I would have never imagined that once I entered my room it would be so gross that I cried. I would have turned around and left if I had the option. She described the property as "a place people go to do meth" and stated "I didn't feel safe here". I would completely agree. The rooms are not close to clean with stains and grime all over, especially along the walls and on the frayed carpeting. The walls have been painted and repainted -chipping, peeling, bubbling. Mold stains along the bathroom ceiling and upper walls. Drawers with missing handles, only the skrew poking though the drawer panel. The mini fridge wouldn't close and continued to run and leak water. The AC unit minimally cooled the room and also reeked of mildew. I did not unpack a thing. The Stay was okay for the money nothing to write home about ..
Agoda did not fax confirmation paperwork to the hotel. After calling (customer service rep barely spoke english), I had to wait on hold for 10 minutes for him to call the hotel. Customer service rep stated that he could not get a hold of the hotel because they weren't answering their phone. While waiting on hold, however, I called the hotel myself and they answered the phone immediately. We were eventually able to get a room, but almost lost our room due to lack of follow-through. I personally will not go through Agoda again. Very disappointing experience. Three elevators; 1 was always out of order. Our A/C stopped working and the A/C cover would not stay on the unit. Significant water damage in the bathroom. the room is clean, and the bed is comfortable. The bathroom is small but it has everything. It's nice for its price. But the hallway is not entirely closed so it's a bit chill and noisy. Best things about hotel: 1. Large, welcomg lobby; 2. Prompt, courteous staff; and 3. Clean rooms. My stay at the Baymont Inn was fine. Good value for the price. Free continental breakfast & the plates/utensils were all horrible. Stairway in 2nd building was dirty. fantastic customer service, great rooms, and kid friendly. Our stay at the Baymont Hotel was very pleasant. Will definitely recommend family and friends to stay. Nice lobby, decent breakfast, location. I will not be returning to this facility anytime. Mala experiencia, hotel sin mantenimiento, pésima limpieza en las habitaciones, desayuno muy pobre.